The premise of ConAgra Foods’ Child Hunger Ends Here program was relatively simple: Each time a consumer purchased a product from any of the company’s participating brands and entered a code from the package to the program’s website, ConAgra donated money to provide food for needy children in the United States. But apparently the target audience of busy mothers didn’t find it simple enough, resulting in disappointing response. 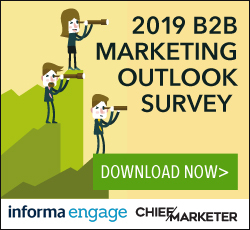 To streamline things further and boost awareness among shoppers, ConAgra and agency TRIS3CT boiled the message down to “Start with a code. 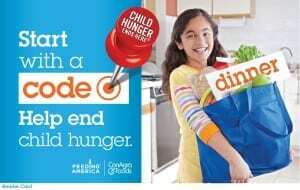 Help end child hunger” and communicated it clearly through multiple channels, encouraging moms (and other consumers) to make entering the package codes a quick, effortless part of their daily routine. ConAgra commissioned a song titled “Fill a Heart” for its national TV spots, and artists such as Amber Riley and The Wanted subsequently performed it on programs popular with the target audience, including “Good Morning America” and “Dancing with the Stars.” Justin Bieber talked about the program on “Today” and “Late Night with Jimmy Fallon,” as well as reminded his millions of Twitter followers to participate. In-store displays and packaging steered shoppers to the 19 participating brands, all while emphasizing the simple tagline and call to action. When those shoppers visited ChildHungerEndsHere.com, they found that entering their codes was as easy as promised: No registration was required, and the box to input the digits was clearly presented on the home page. For added convenience, the site was mobile- and tablet-optimized too. The campaign had had a negligible social media presence previously, but for 2013, it launched a Facebook page that received 38,000 likes and a Twitter account that attracted 47,000 followers. This contributed to a 40% year-over-year leap in program awareness among women 25–64 years old, outpacing ConAgra’s goal of a 20% boost. And this, in turn, resulted in 3.1 million code redemptions—and contributed meals—a 94% increase from the previous year. American Express OPEN - Gold Ford Motor Co.